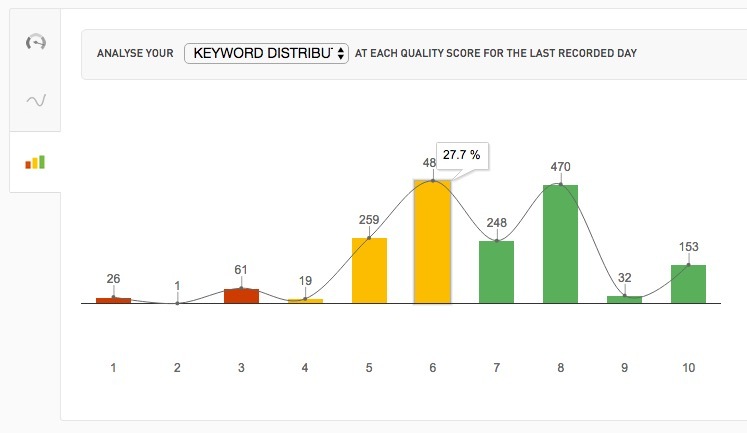 The distribution chart shows you how many keywords you have at each quality score, along with their percentages when you hover with your mouse. It is not limited to keywords, you can select to see how many impressions, clicks, or how high your first page bids are at each quality score. It provides a secondary analysis, beyond the weighted average quality score, that tells why you have a great or poor account, campaign or ad group quality score.